In a Rush - Ready to Ship now! 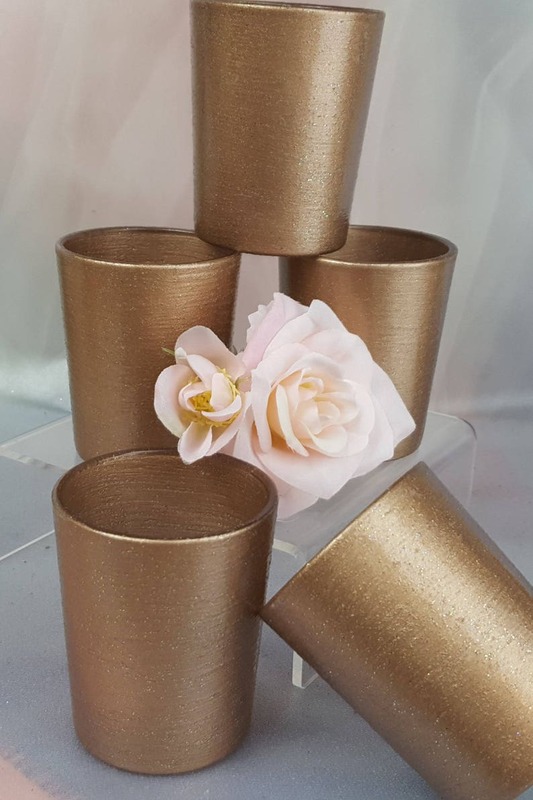 Light Rose Gold colored with a hint of Glitter Votive Candle Holder. These make great party decorations for your Wedding, Birthday Party, Valentines, Engagement, Holiday Decorations. Also make a great gift!. 10 / per order. Beautiful. This is Light Rose Gold. Order as many as you wish. You can also mix and match your order at the same time. I have many more - but these are ready now.